By Jeff Sorby: WBA World heavyweight champion Alexander Povetkin doesn’t appear to be in the cards for IBF/IBO/WBA/WBO heavyweight champion Wladimir Klitschko’s next fight on April 6th, according to espnnewyork.com. The Povetkin-Wladimir fight will take place later on in the year unless Povetkin decides he still doesn’t want to fight the 6’6” Wladimir. The April 6th fight will likely see Wladimir face another less than spectacular opponent. Kubrat Pulev and Tomasz Adamek will be fighting in an IBF heavyweight eliminator bout this year, but neither of those guys will be fighting Wladimir next. That means that Wladimir will have to choose from a list of heavyweights that won’t be competitive. He’s already destroyed his last three opponents since his mismatch with David Haye in 2011. 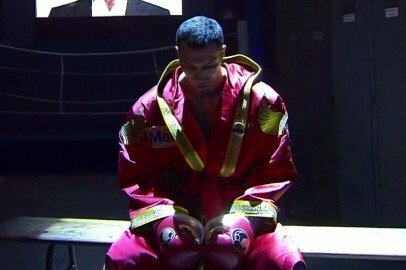 Since that one-sided fight, Wladimir has wiped out 39-year-old Jean Marc Mormeck, 41-year-old Tony Thompson and soundly beaten Mariusz Wach. There’s not much time before April, so that likely means we could see an especially weak opponent for Wladimir. It’s highly likely that Wladimir’s next opponent will be selected from one of those fighters. He’s already beaten Chagaev, so that’s not likely. Charr was just stopped by Vitali Klitschko on a cut last year, and that makes him unsuitable. Helenius recently came back from a year layoff and he looked terrible. It would be a good time to fight him, but it would be terrible timing for Helenius because he’s not at his best right now. Solis fought only once last year and looked badly out of shape. He wouldn’t be a good option. The 6’7” Dimintrenko might be an interesting opponent because of his size, but he’s already been exposed by Pulev and Eddie Chambers. However, it’s a fight that would attract a lot of interest in Germany because Dimitrenko is a German-based fighter.